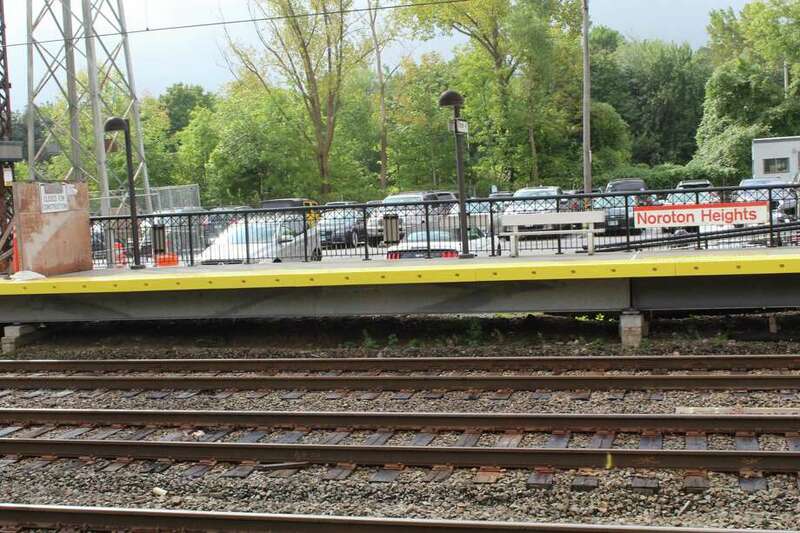 DARIEN — Improved commuter parking, pedestrian crosswalks and biking facilities are all on a wish list for a revamped Noroton Heights Train Station. The ideas come from a study of Noroton Heights by the Western Council of Governments (WestCOG), which provides transportation and other planning services to 18 towns in the state. Recommendations and findings from the study were presented to the Board of Selectmen Monday. “We gauged the public throughout the whole process,” said Gregory Del Rio, a transportation consultant of Norwalk-based NV5. Two public workshops were conducted in addition to the study to get input from the community. Recommendations included adding sidewalks to ensure people are not walking in the parking lot. There were also talks of expanding the platforms at the station, as well as the drop-off areas. An electrical vehicle charging station was also briefly mentioned as a possibility. Three options were presented on possible changes to the station building itself. The first option is keeping the station building where it is, but making a more modern and larger station building. “One of the inputs we had from the public was more or less they liked the station and where the bridge was,” Del Rio said. Keeping the bridge fairly central was important for commuters for times when there is a sudden change in their train schedule. Option two was moving the building somewhat toward the east, he said. This allowed for the current station to possibly remain open while the new one is built. “That allows some opportunities to reconfigure some of the parking areas and the drop-off areas,” he said. The final option was moving the building all the way to the east end. “There wasn’t a huge favoring of any option at our workshops, but I would say this one definitely seemed to get the most interest,” Del Rio said. Heights Road could possibly be reconfigured to add more additional parking, he said. For off-site improvements, a conclusion was reached that some improvements could be made to sidewalks as well as providing bicycle facilities. “We do recommend looking at a potential full bike lane on Heights Road,” Del Rio said. Another idea that came from the workshops was possibly changing the plaza were a lot of the shops are on Heights Road. Adding a continuous sidewalk could help make it safer for pedestrians. “Basically we identified where each of the improvements can be considered,” he said. First Selectman Jayme Stevenson said with the study complete the board will review the findings to see if there are things that can potentially be done in the short-term. “We will look to immediately address some of these problems,” Stevenson said. No future meetings have been scheduled to discuss the ideas.